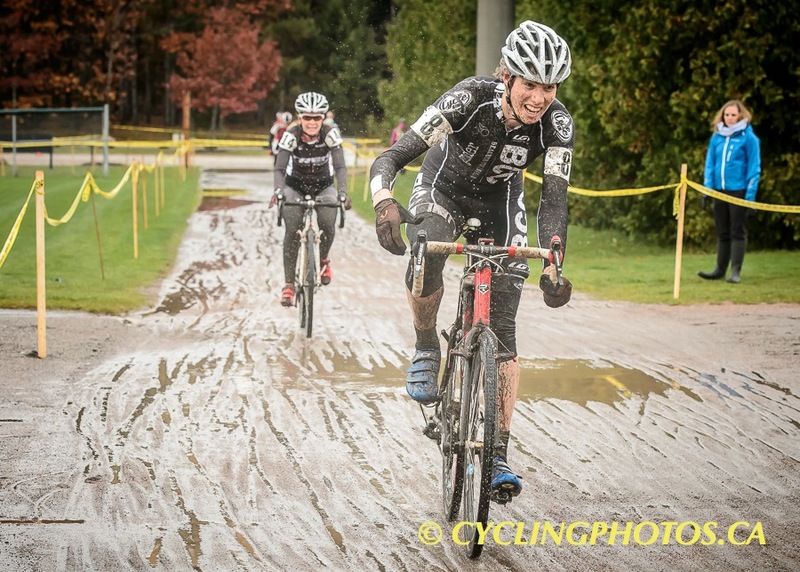 Cool temperatures and off-and-on rain provided the backdrop as Jamie Gilgen and Andrew Watson took top honours at today's Barrie Baseball 'Cross, the fourth stop of the Ontario Cup Cyclo-cross series. Held at the Barrie Sports Complex for the fifth time in it's seven-year existence, the race featured a slightly longer course than in years past, but retained it's traditional flat profile, with a single set of stairs offering the only significant vertical challenge. A sizeable mud bog, soggy straightaway sections, a double set of barriers and slick corners all added to the challenges facing the riders. Gilgen (Blacksmith Cycle) and mountain bike pro Emily Batty (Trek Factory Racing) were the class of the women's field, trading the lead while distancing their fellow competitors. Ashley Barson (CoachChris.ca/Ted Velikonja) kept within striking distance during the opening lap, but had to give way to the fast pace, eventually being passed by the chasing duo of Antje Thamm (Invita-FCV) and Lisa Holmgren (Velocity Cycle & Ski). The leading pair stuck together, swapping positions from time to time, biding their time until the final lap. "In order to ride away from somebody, the other person had to make a mistake," explained Batty. "I knew one of us was going to go at some point," said Gilgen. "Normally when I'm the one who doesn't go, I don't win it, so I decided 'I'm going to go.'" Gilgen attacked on the long straightaway coming out of the mud pit, but Batty held her wheel. From there on Gilgen maintained the pressure but was unable to shake Batty, who tried to sneak inside on the final turn. The move was blocked and Gilgen comfortably won the sprint to the line. "I tried to go inside," explained Batty, who has only recently resumed training after almost two months off the bike. "She swung a little wider so I couldn't squeeze by and she held it right to the line. You couldn't ride away from Jamie. She has so much power." The race between Thamm and Holmgren was equally close, with Holmgren outsprinting her rival for third overall and first in the Master Women's category. "We took it back and forth," related Thamm. "I come from the road and she comes from mountain biking. I would catch up on the straights; she would pass me in the technical sections, and then she took the sprint. It was good. It was fun." Not content with merely racing, Watson (Norco Factory Team) added extra pressure to his shoulders by tweeting a pre-race challenge to fellow competitor Peter Disera. The wisdom of that public statement appeared dubious in the early going, as Watson found himself stuck in traffic, while Disera was near the front, following early leader Nathan Chown (Team CF). "Luckily the pace wasn't super-high," admitted Watson. "I was able to work my way up to the front. When I caught them I didn't wait. I attacked right away and got a little bit of a gap and went from there." Disera and Chown gave chase, with assistance from Marco Li (Beaches CC), and Master 1 racers Jon Barnes (Trek Canada) and Robert Holmgren (Velocity Cycle & Ski), but could make no inroads on Watson. "When Andrew went there was no question," confessed Disera. "He was gone." The reigning provincial 'Cross champ was in time-trial mode, opening a comfortable gap on his rivals, but not taking anything for granted. With only one pit opportunity per lap, Watson didn't want to risk slowing down, fearing that a mechanical problem could quickly dissolve his lead. "Some people will ease up but I like to keep the pressure on." With victory seemingly out of reach, the chasers were now racing for second, and Disera was the first to go for it, attacking the group on the fifth lap of seven. He quickly got a gap and appeared to be on his way to silver, helped somewhat by Li's untimely crash on the stairs. The trio of Barnes, Chown and Holmgren held the gap, however, and even managed to close it significantly on the final lap, but couldn't reel in the reigning Junior national champion. "Last lap they put in a dig and I was concerned I was going to get caught," revealed Disera. "They came a little too close for comfort." "We all took turns trading punches; trying to get away from each other; trying to catch Pete," stated Chown. "Rob put in a good move after the barriers and he kept the pressure on. He didn't make any mistakes for the last quarter-lap and he got a well-deserved third overall." - Thamm is in her first full season of 'cross. "I love it. It's dirty. It's super-fast. It's hard. It's fun." The 28 year-old German is an international student, working towards a PhD in biology at Brock University. - Gilgen has participated in a number of races south of the border this season, and feels that her competitiveness has increased because of it. 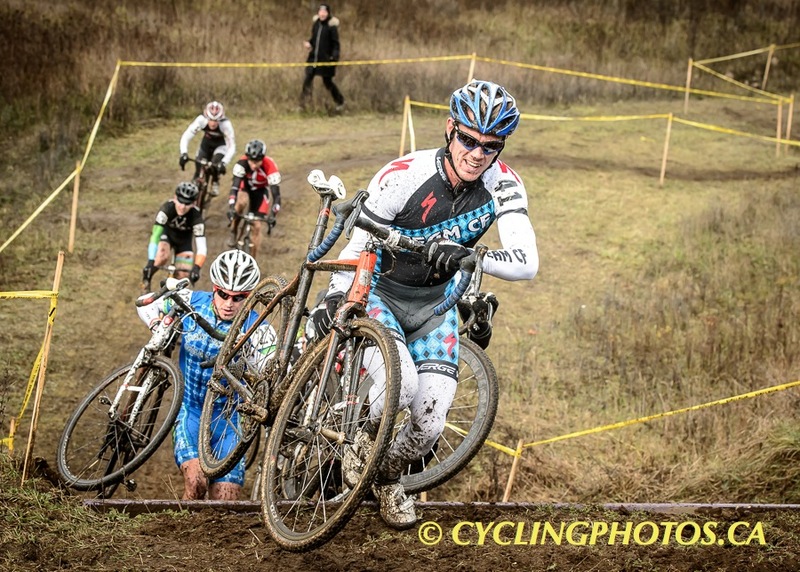 Unfortunately, travel costs have depleted her bank account and she may not be able to attend 'Cross Nationals. "It's a financial decision more than anything. It depends on flight prices." - Despite only a week and a half of training, Batty said she is "feeling decent", heading into next weekend's Iceman Cometh mountain bike race in Michigan. 'Cross Nationals are not on her calendar this year. 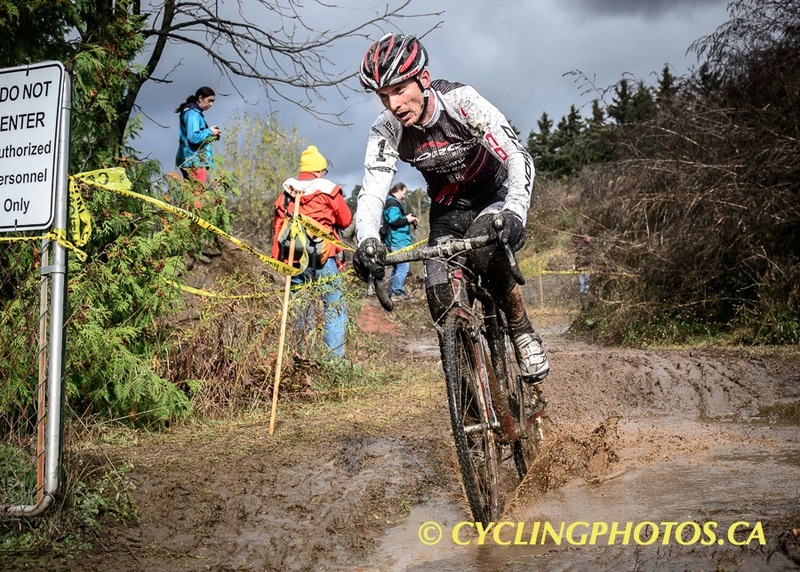 - Of his rivalry with Disera, Watson had this to say: "We had a really good battle at Duntroon, at the O-Cup mountain bike race there, so I wanted a repeat of that. "We had a good battle today. He was chasing me down for a couple of laps. He's pretty busy with school right now, so I'll cut him a little bit of slack. Plus he's ten years younger than me, or more." - Disera's take on the matter: "Getting to race him isn't all that common so when we do it's a lot of fun. He called me out on Twitter a couple of days ago so I was excited to come here and see what I could pull off. I'm happy with the race. It was muddy. It was fun. It was hard."